Date: Friday 4th January 1985. Competition: FA Cup Third Round. 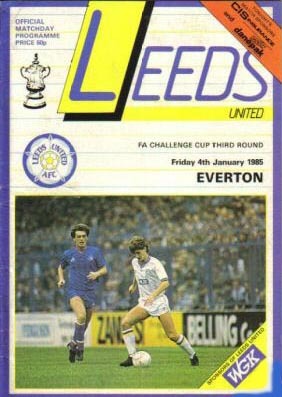 Scorers: Leeds United: Nil Everton: Sharp (pen), Sheedy. 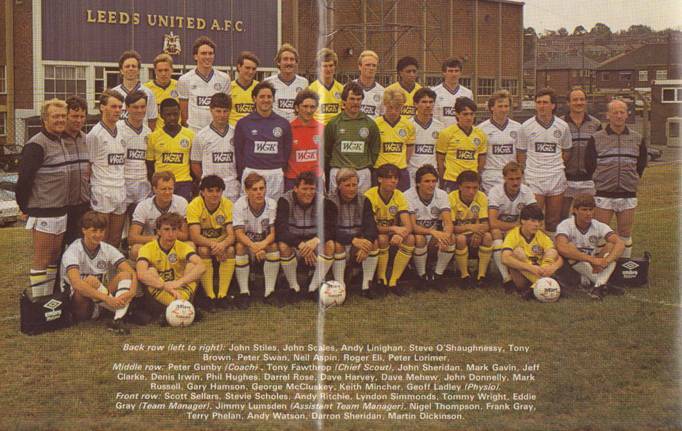 Leeds United: Hughes; Irwin, Hamson; Sellars, Linighan, Aspin; Wright, Sheridan, McCluskey (Gavin), Lorimer, F. Gray. 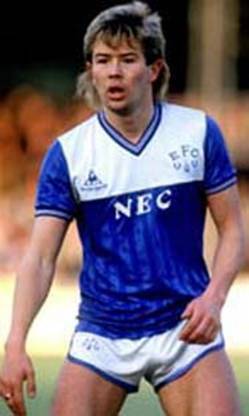 Everton: Southall; Stevens (Atkins), Van der Hauwe; Ratcliffe, Mountfield, Reid; Steven, A. Gray, Sharp, Bracewell, Sheedy. Referee: Mr D. Richardson (Great Harwood, Lancashire). Everton were looking to escape being victims of a giant killing act in January 1985. 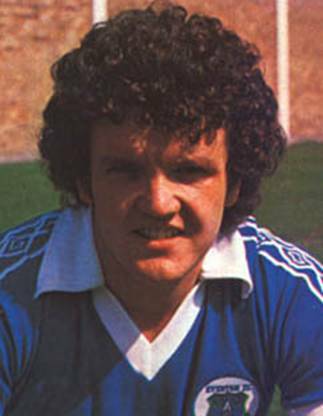 The Goodison Park team, then managed by Howard Kendall, had been handed a Third Round visit to Elland Road where Eddie Gray’s Second Division side were eager to cause an upset. To add to the excitement the tie had been chosen for live screening on BBC Television and switched to Friday night but United failed their screen test, were on the wrong end of a controversial penalty decision, and never really looked like causing a major shock. FA Cup holders Everton had the starring role while United were cast as extras. United received a £15,000 fee to counterbalance any loss at the gate because the game was being screened live and on a Friday night. Eddie Gray saw his team battle hard, from start to finish in a bold bid to overthrow the First Division high-flyers and though in the end United had to settle for a 2-0 defeat they were not disgraced, but in the end just could not match the class of the joint leaders of the First Division, who grabbed their first victory at Elland Road in thirty-three years. United began brightly with Neville Southall making a brilliant save to prevent John Sheridan curling a free-kick from going into the top corner and then hung on to a Peter Lorimer drive. Everton gradually imposed their authority in midfield but needed a helping hand to get them off the mark in the thirty-ninth minute. 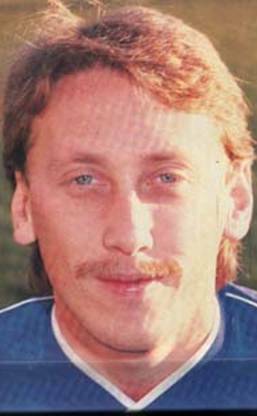 The all-important first goal came when there seemed little danger when former Hartlepool central defender Andy Linighan was unfortunate enough to give away a penalty for a handling offence as his hand made contact with a bouncing ball in a tussle with Graeme Sharp as he shaped to clear. 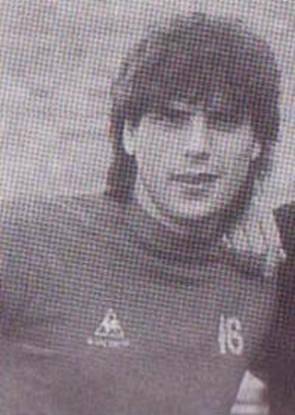 The incident was spotted by a linesman and left referee David Richardson but to award a penalty and Scottish striker Graeme Sharp stepped up to score from the spot. There was little doubt that Linighan’s hand made contact with the ball as he attempted to clear under challenge from Sharp but there did not seem any real intention to handle. Acting skipper Peter Lorimer described the decision as ‘a joke’ while the United manager believed it to be ‘harsh’. The linesman, however, thought otherwise and Everton were on the way to a victory. United could make little headway in attack where Andy Ritchie, who had done a good job since joining Leeds from Brighton and Hove Albion in a swap with Terry Connor, was badly missed through injury. 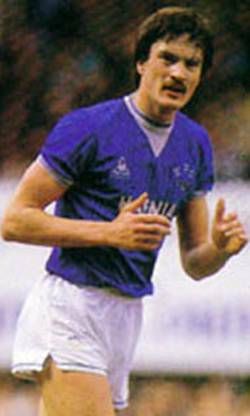 Young winger Mark Gavin did inject a bit of life into the when he came on in place of George McCluskey in the sixty-seventh minute, but it was Everton that finished on a high note. 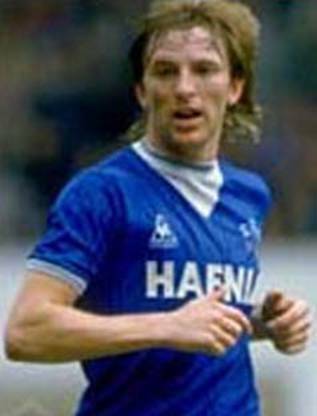 Trevor Steven was brought down by Neil Aspin on the edge of the area, five minutes from time and Kevin Sheedy forced the ball in at the far post after young goalkeeper Phil Hughes, under pressure from Andy Gray, had pushed it on to the bar from the ensuing fiercely struck free-kick. “Everton are one of England’s top clubs so we knew it was always going to be difficult for us,” said Gray. “Though we were not able to create many chances against them we made it difficult for them too. They had precious few openings,” he added. There were spells in the second half when United’s promising young full-back Dennis Irwin was made to sweat by the skilful Sheedy but generally the defence had looked confident, if hard pressed. 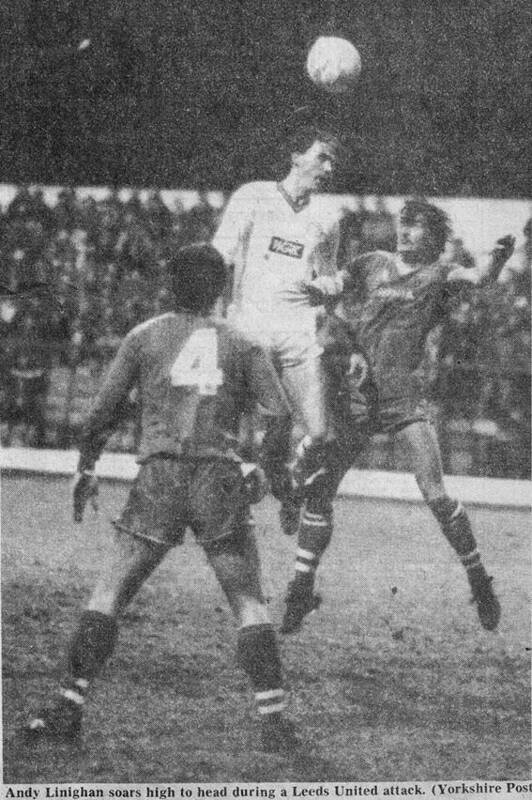 One of the more pleasing aspects of the game had been the form of Andy Linighan and the nineteen-year-old Neil Aspin at the heart of the defence. “We have seen recently how well this partnership, is forming and the more they play together the better they are going to get,” added the United manager. Everton, the FA Cup-holders, produced a professional performance worthy of their growing reputation to move safely into the Fourth Round at Elland Road in this experimental Friday Night Cup-tie at Elland Road at the expense of Leeds United. Leeds, in front of a live TV audience, showed a high level of commitment, but rarely unsettled their First Division opponents in a match which produced enough passion to compensate for its lack of goal-mouth incident. 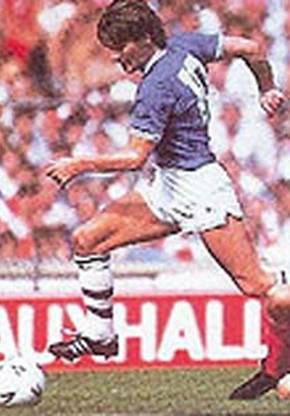 A penalty by Graeme Sharp, his twentieth goal of the season, put Everton ahead after thirty-nine minutes and they needed to soak up persistent Leeds pressure in the second half before Kevin Sheedy settled the matter six minutes from time. 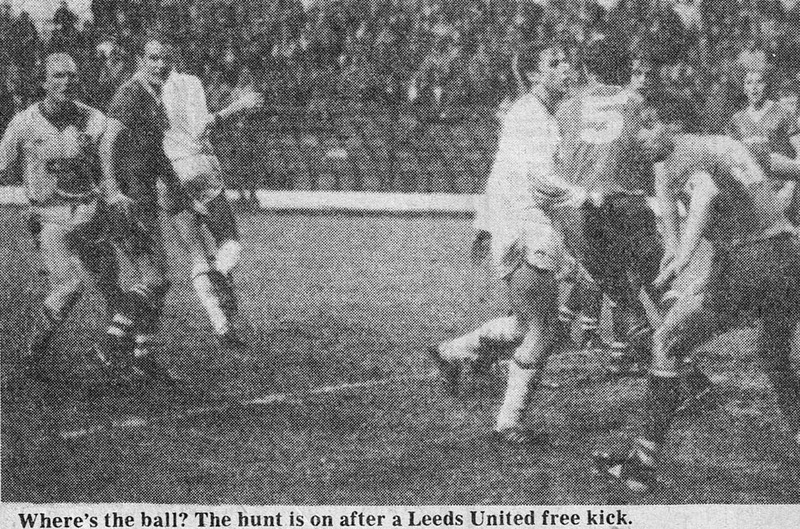 Increasing stress on the Leeds defence in the opening half finally told on Andy Linighan, the tall central defender, who beat Graeme Sharp to the header from Gary Stevens’ throw but as the ball fell between them handled it in his anxiety to clear. 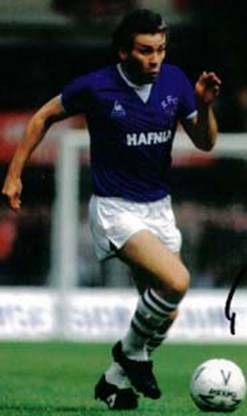 Referee, Mr David Richardson’s suspicions were confirmed by his linesman and, although Phil Hughes guessed correctly, Graeme Sharp’s spot kick had the necessary power. It took another set piece to give Everton their first win at Elland Road in thirty-four years. 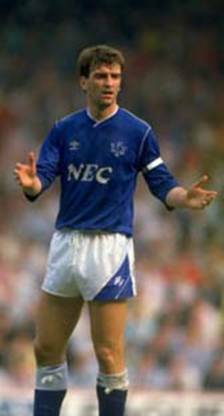 Kevin Sheedy’s free-kick crashed against the bar as it beat Phil Hughes for pace and, as Leeds failed to clear, the Everton midfield man completed the job by hooking it in from six yards. 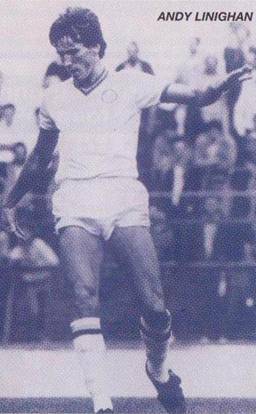 The ageless Peter Lorimer, showing a consistency of passing not always shown by his colleagues, was Leeds’ inspiration and his example rubbed off on John Sheridan, the Eire Youth International midfield player, who rose to the occasion with a confident display. The presence of the TV cameras did not unduly affect a fine Cup-tie atmosphere as the holders attracted 21,211, Elland Road’s third highest of the season. 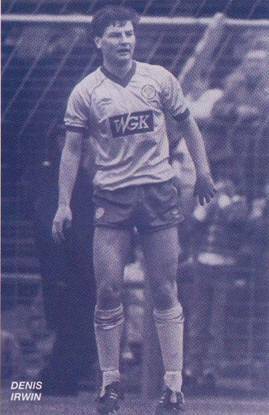 Leeds gave them most heart in the first minute when George McCluskey fell on the edge of the area under pressure from Gary Stevens and Neville Southall needed to respond quickly to turn John Sheridan’s curling free-kick round the post. 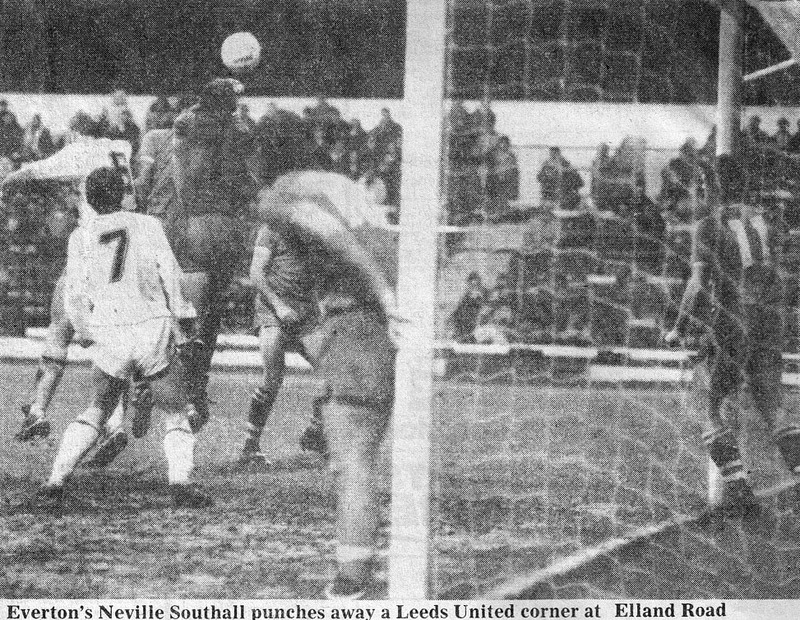 Lorimer, gathering himself to shoot in typical fashion, brought Neville Southall to his knees from twenty yards from the resulting corner but Leeds could not maintain such pressure. 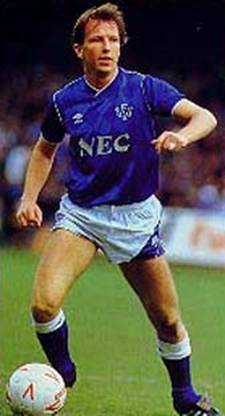 Everton worked hard in midfield where Peter Reid, Paul Bracewell and Trevor Steven, hungry for possession, produced a succession of one-touch moves. 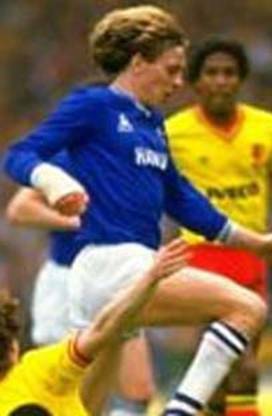 The most incisive move of all involved Gary Stevens and Andy Gray, both recalled after injury. 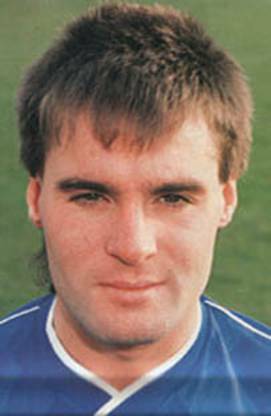 The full-back’s long cross from the right was headed back into the path of Paul Bracewell, whose low drive raced wide. Early on, Leeds existed on scraps. 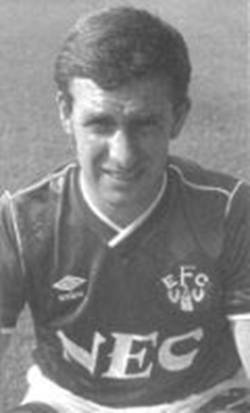 Further forward, Tommy Wright’s pace was cancelled out by equally swift Everton central defenders and McCluskey, playing despite suspected tonsillitis never figured until his substitution after sixty-eight minutes. Both goalkeepers were largely inactive for the entire match. 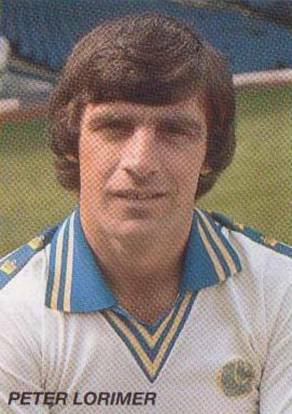 Phil Hughes, deputising in the Leeds goal for the injured David Harvey, settled his nerves after twenty-three minutes as he caught a corner and his first save, purely routine, came eight minutes from half-time as Paul Bracewell’s shot lacked conviction. When Sharp’s penalty flew past him, he had hardly been in the game. Trevor Steven’s whip-lash volley a minute later, fractionally too high, almost settled the match there and then. Leeds approached the second half with renewed vigour. From one rare Everton break Peter Reid fluffed a left foot volley and Mark Gavin’s introduction on the left, allied with Peter Lorimer’s presence on the right, saw United begin to provide crosses on either flank. Neville Southall, however, apart from his save in the opening minute, remained uninvolved. When even Peter Lorimer’s angled free-kick finished near the corner flag it was symptomatic of a tight Cup-tie laden with effort but bereft of chances. 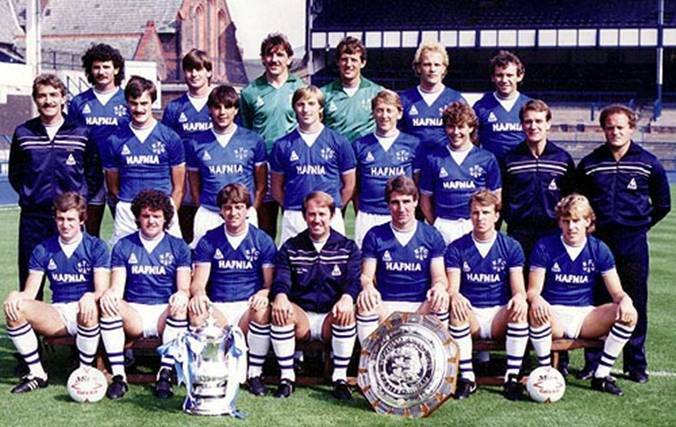 Back Row: Paul Wilkinson, Adrian Heath, Neville Southall, Jim Arnold, Andy Gray, Peter Reid.